We often get comments on how nice the person is who answers the phone at Carm’s. Jaimie is her name and she is Jim’s wife. 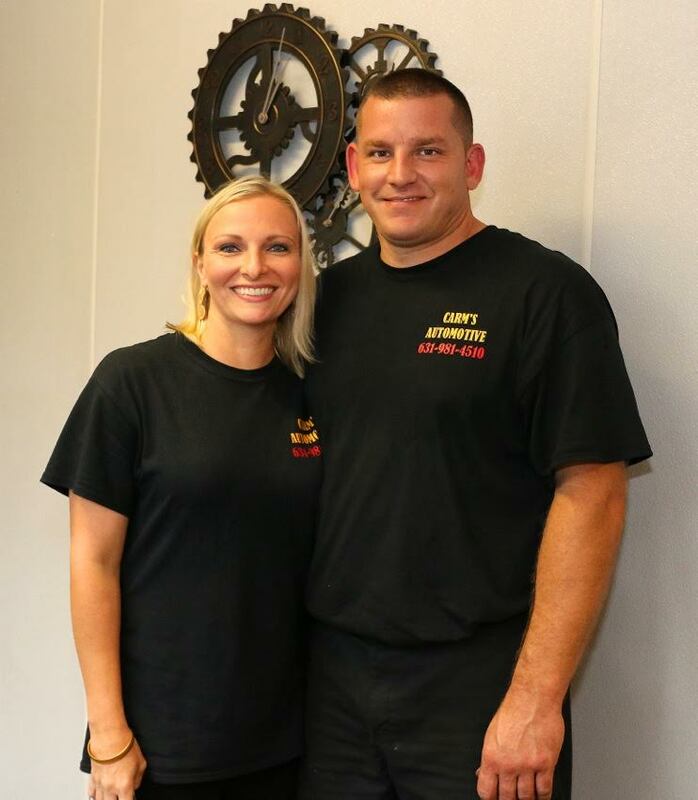 Carm’s Automotive is most definitely a family business! So whether you need a tune up and oil change or your car has broken down and you need a tow, give Carm’s a call and you will get a fast friendly answer. Carm’s Posts are updates, fun facts and information about the cars and people that come to Carm’s for auto repair services. Check back regularly for shop specials and news in the world of Carm’s Automotive. Whatever your vehicle problem, give us a call at 631-981-4510 or just stop on by, no appointment neccessary. Auto repair is our business. We will do our best to accommodate you and your car in timely manner with a smile. If you break down and need a tow, just give us a call and we will dispatch a truck as soon as possible.